Swindon Town have signed Norwich City keeper Jake Kean on an initial seven-day emergency loan after receiving special Football League dispensation. 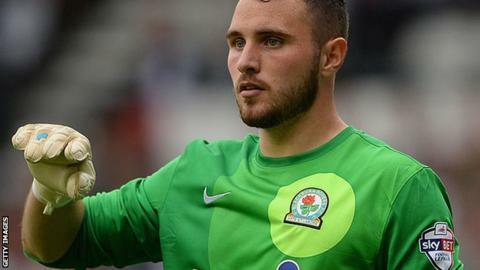 Both the League One club's senior stoppers, Lawrence Vigouroux and Tyrell Belford, are sidelined with injuries. Kean, 25, made five appearances on loan at Colchester earlier this season. Meanwhile, head coach Luke Williams has confirmed forwards Jonathan Obika and Nicky Ajose and midfielder Yaser Kasim are all close to returns from injury. "I think it would be a big boost to see some of those boys involved or even just in the changing rooms," Williams told BBC Wiltshire. "We were in very good form and we've had the stuffing knocked out of us, losing some key players." Swindon are without a win in seven games since boss Williams signed a five-year deal as the club's boss in March. He also confirmed that six of the club's players have been given time off from training since last weekend, to recover from their recent schedule. "If you look at the schedule recently, some of the players that have been off, they needed that," Williams said. "A few players had been carrying the burden heavily. I'm hoping they come back and feel a little fitter, stronger and more prepared." Swindon, who are six points above the relegation zone, host Bury on Saturday before travelling to Walsall on 19 April.